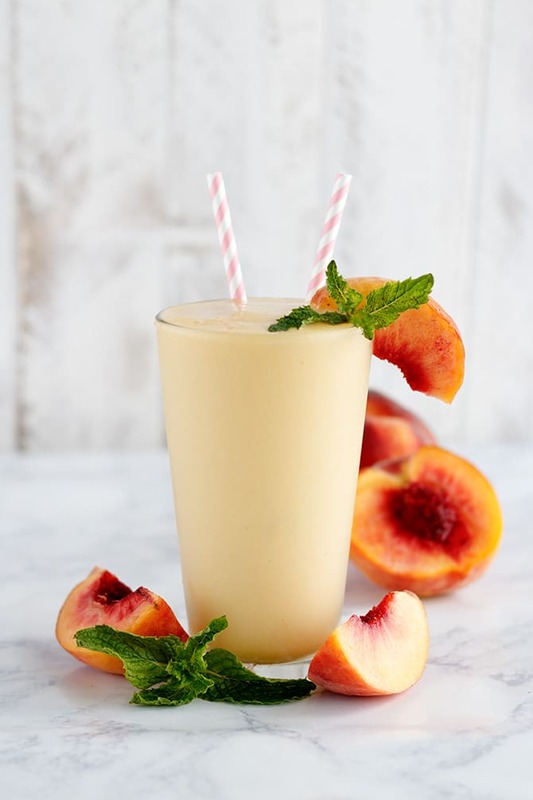 Quick and easy cocktail that takes less than 5 minutes to prepare and you can enjoy all year round! This content is intended for readers who are 21 and over. Quite some time ago, I quit drinking soda. It was a New Year resolution about 4-5 years ago and probably one of the hardest things that I have done in a long time. You don’t realize the craving you get for certain things until you cut them out of your life. To this day I still crave soda every once in awhile, and I do have the occasional (few and far between) glass but I have come to a realization that it’s not so much the flavor of the soda I miss so much… but the carbonation that it has instead. So I have begun buying sparkling waters as a replacement. Unfortunately, that can get pricey and some of the sparkling waters out there have added stuff that make them not much better for you than drinking a soda. So it defeats the entire purpose. Recently, I had the chance to try out the all new SodaStream Power Automatic Sparkling Water Maker and I have to say it was love at first fizz. The SodaStream Power is specifically a sparkling water maker and you have the control and choice of how much fizz and bubbles you want! Which makes it much easier to help you break the habit of drinking soda and switching to more water instead. It is also super simple to use with just the touch of a button after snapping the included bottle into place. 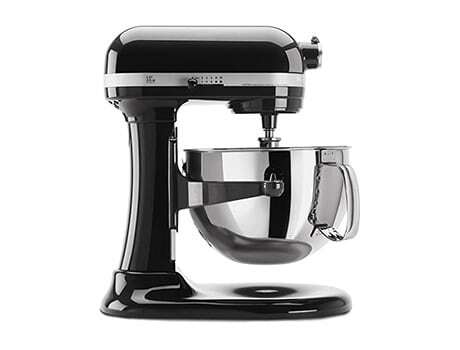 Bonus that it matches all my other appliances, with it’s black and silver sleek design (it comes in white, too). I’ve been using my SodaStream Power for some time now and literally make 3-4 bottles of sparkling water everyday…. but with the holidays coming up, I wanted to see if I could make some fun cocktails with the sparkling water. I figured a spritzer would be the perfect thing! For this beautiful red wine spritzer, I wanted to try something a little different than a traditional sangria or holiday cocktail. 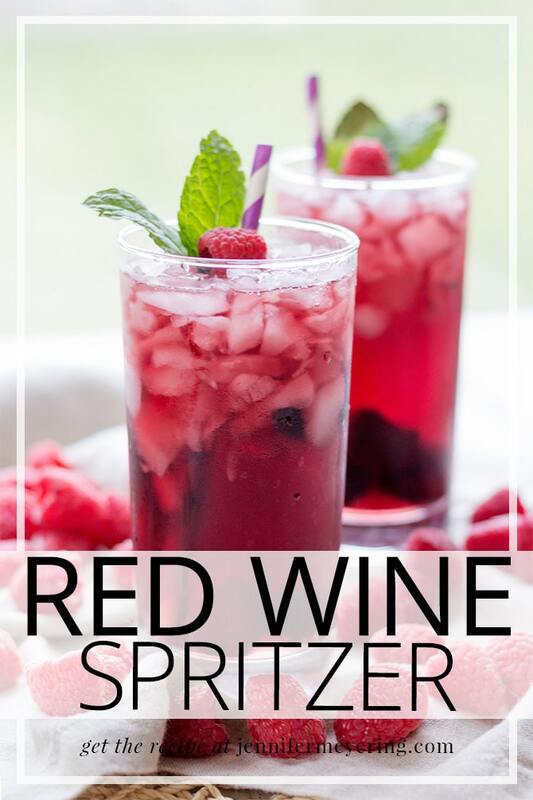 I used the SodaStream berry mix flavor and mixed it with my favorite red wine for something a little lighter and more refreshing that just a regular glass of red wine. This cocktail would definitely make the perfect drink for any of your holiday celebrations or parties that might be coming up – I know I’ll be making it for mine! Fill glass 1/2 full with ice. Pour wine over ice until glass is 1/2 full. Fill remaining glass with club soda. Garnish with raspberries and mint leaves (optional), serve and enjoy! I’ve never had a spritzer before because funny enough it’s the bubbles in soda and sparkling water I don’t like which is why I’ve luckily never been a soda drinker. But I’ll tough it out for some alcohol! This might be the only way I’ll ever get my sister to drink red wine too! These things were super addicting! So good! Spritzers or fröccs as they are called over here are hugely popular, this sounds superb! Thanks, Brian! I’ve never had one before making this and now I’m addicted! I LOVE sparkling water! That sodastream looks so cool, and your spritzer is perfect for New Years!!!! Been meaning to pull out my SodaStream.. but I need to replace the CO2 and have been lazy! These flavors look yummy!